Using path analysis, this study investigates the direct and indirect effect of accounting consistency and accounting-based earnings quality proxy on market synchronicity of the Egyptian listed firms. We firstly examine how time-series accounting consistency achieves earnings quality. We find a significant association between time series accounting consistency and lower variation of accruals residuals. We also examine the direct impact of accruals quality on stock returns synchronicity. We find a significant association between lower variation of accruals residuals and higher stock returns synchronicity. Finally we examine the direct and indirect impact of accounting consistency on market synchronicity. We find that the consistent use of accounting policies can achieve market synchronicity only after achieving earnings quality. Our findings indicate that earnings quality increases the effect of time series accounting consistency on achieving stock returns synchronicity. Armstrong, C., Jagolinzer, A., & Larcker, D. (2010b). Chief executive officer equity incentives and accounting irregularities. Journal of Accounting Research, 48(2), 225–27. Ashbaugh-Skaife, H., Collins, D., Kinney, W. & LaFond, R. (2008). The effect of SOX internal control deficiencies and their remediation on accrual quality. The Accounting Review, 83(1), 217–250. Barron, O. E., Kim, O., Lim, S. C. & Stevens, D. E. (1998). Using analysts' forecasts to measure properties of analysts' information environment. The Accounting Review, 73(4), 421-433. Barth, M. E., Landsman, W. R., Lang, M. H., & Williams, C. D. (2013). Effects on Comparability and Capital Market Benefits of Voluntary Adoption of IFRS by U.S. Firms: Insights from Voluntary Adoption of IFRS by Non-U.S. Firms. Working paper, Stanford University, The University of North Carolina at Chapel Hill, and University of Michigan. Bissessur, S & Hodgson, A. (2012). Stock market synchronicity – an alternative approach to assessing the information impact of Australian IFRS. Accounting and Finance 52(1), 187–212. Brown, S., & Tucker, J. (2011). Large-sample evidence on firms’ year-over-year MD&A modifications. Journal of Accounting Research, 49(2), 303–346. Chan, K., & Hameed, A. (2006). Stock Price Synchronicity and Analyst Coverage in Emerging Markets. Journal of Financial Economics, 80(1), 115-147. Cohen, D., Dey, A. & Lys, T. (2008). Real and accrual-based earnings management in the pre- and post-Sarbanes-Oxley periods. The Accounting Review, 83(3), 757–787. Cook, R. D. (1977). Detection of Influential Observations in Linear Regression. .American Statistical Association), Technometrics, 19 (1), 15-18. Crawford, S. S., Roulstone, D. T. & So, E. C. (2012). Analyst initiations of coverage and stock return synchronicity. The Accounting Review, 87(5), 1527–1553. Dechow, P., and Dichev, I. (2002). The quality of accruals and earnings: the role of accrual estimation errors. The Accounting Review ,77(1), 35–59. Dechow, P., Ge, W., Larson, C., & Sloan, R. (2011). Predicting material accounting misstatements .Contemporary Accounting Research, 28(1), 17–82. Dechow, P.,. Ge, W., & Schrand, C. (2010). Understanding earnings quality: A review of the proxies, their determinants and their consequences. Journal of Accounting and Economics, 50(2), 344–401. DeFond, M. (2010). Earnings quality research: Advances, challenges and future research. Journal of Accounting and Economics, 50(2), 402-409. De Franco, G., Kothari, S. P. & Verdi, R. (2011). The benefits of financial statement comparability. Journal of Accounting Research, 49(4), 895–931. Demerjian, P., Lev, B., Lewis, M. & Mcvay, S. (2013). Managerial ability and earnings quality. The Accounting Review, 88(2), 463-498. Devos, E., Hao, W., Prevost, A. & Wongchoti, U. (2015). Stock return synchronicity and the market response to analyst recommendation revisions. Journal of Banking & Finance, 58(1), 376-389. Doyle, J., Ge, W. & McVay, S. (2007a). Accruals quality and internal control over financial reporting. The Accounting Review, 82(5), 1141–1170. Durnev, A., Morck, R., Yeung B., Zarwin, P. (2003). Does Great Firm-Specific Return Variation Mean More or Less Informed Stock Pricing? Journal of Accounting Research, 41(1), 797-836. Francis, J., LaFond, R., Olsson, P. and Schipper, K. (2004). Costs of equity and earnings attributes. The Accounting Review, 79(4), 967–1010. Greene, H. (2000). Econometric Analysis (Fourth edition). Upper Saddle River, NJ. Prentice- Hall. Gujarati, D. (2008). Basic econometrics, (Fifth edition), Boston: McGraw-Hill. Healy, P. M. & Wahlen, J. M. (1999). A review of the earnings management literature and its implications for standard setting. Accounting Horizons, 13(4), 365-383. Horton, J., Serafeim, G. & Serafeim, I. (2013). Does mandatory IFRS adoption improve the information environment? Contemporary Accounting Research, 30(1), 388-423.
International Accounting Standards Board (IASB). (2015). Conceptual Framework for Financial Reporting. Available at: www.ifrs.org. Jones, J. (1991). Earnings management during import relief investigations. Journal of Accounting Researc, 29(2), 193–228. Larcker, D., Richardson, S. & Tuna, S. (2007). Corporate governance, accounting outcomes, and organizational performance. The Accounting Review, 82(4), 963–1008. MacKinnon, D. P., Lockwood, C. M., Hoffman, J. M., West, S. G., & Sheets, V. (2002). A comparison of methods to test mediation and other intervening variable effects. Psychological Methods, 7 (1), 83-104. Morck, R., Yeung, B., Yu, W. (2000). The Information Content of Stock Markets: Why Do Emerging Markets Have Synchronous Stock Price Movements? Journal of Financial Economics, 58(1), 215-238. Peasnell, K. V., Pope, P. F. & Young, S. (2005). Board monitoring and earnings management: do outside directors influence abnormal accruals? Journal of Business Finance & Accounting, 32(7), 1311-1346. Peterson, K., Schmardebeck, R. & Wilks,T. (2015). The Earnings Quality and Information Processing Effects of Accounting Consistency. The Accounting Review, 90(6), 2483- 2514. Piotroski, J. D. & Roulstone, D. T. (2004). The influence of analysts, institutional investors, and insiders on the Incorporation of Market, Industry, and Firm-Specific Information into Stock Price. The Accounting Review,79(4), 1119-1151. Rao, Ananth. (2018). mpirical Analysis of Joint Impact of Enterprise Risk Management and Corporate Governance on Firm Value. 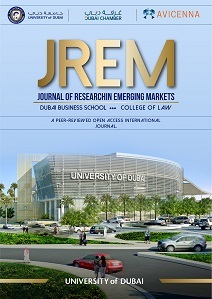 International Review of Advances in Business Management and Law, 1(1), 34-50.